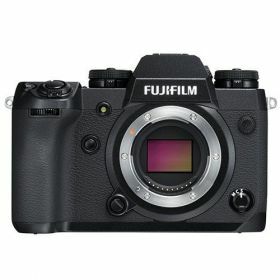 Now with impressive in body image stabilisation (IBIS) of over 5 stops, the Fuji X-H1 digital camera heads up the APS-C X-Trans line, building on the extremely successful Fujifilm X-T2. Fujifilm's sensor and image processing engine remain unchanged along with most other features. There is a small size and weight penalty due to the incorporation of the IBIS system. This is undoubtedly the camera many Fujifilm enthusiasts have been waiting for.